Check out these Portland-baked sweets, then treat yourself to an indulgent slice of Cake ! 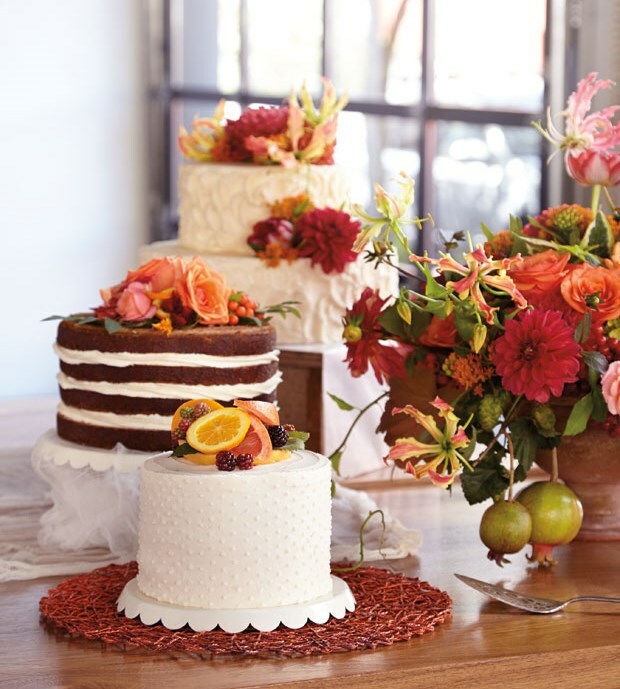 Jutta Bach of La Joconde Cake Studio + Bakery chose layers of fresh-raspberry buttercream, raspberry-fig buttercream, and yellow and dark chocolate cakes to create these eye- and palate-pleasing slices. This trio of decadent treats—(from back) chocolate with salted almond toffee and ganche, lemon coconut cream, and coconut dulce de leche—hail from popular vegan and gluten-free bakery Petunia’s Pies & Pastries. 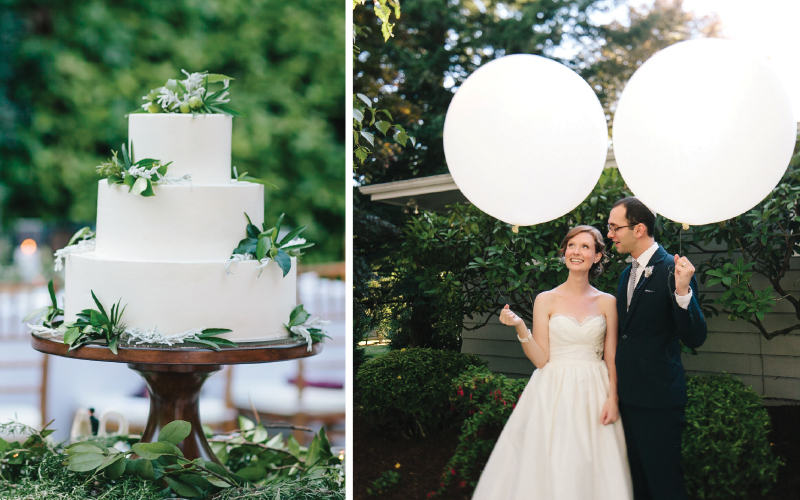 At their backyard celebration, Portland couple Lisa Swan and Sam Sadle treated guests to a three-tier cake of chocolate, chocolate-hazelnut, and strawberry-almond cake by La Joconde Cake Studio + Bakery. Photo by Leah Verwey Photography. 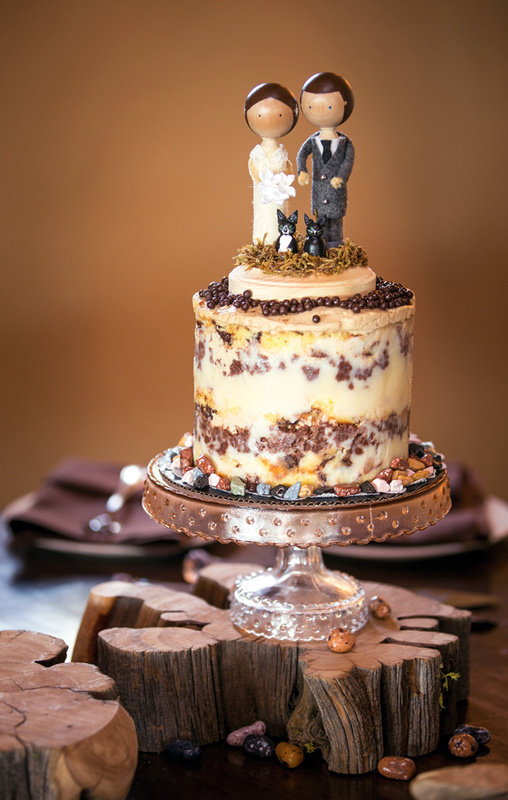 For Sara West and Chad Pollock’s July 27, 2013 wedding at Brasada Ranch, the bride’s mom made a Momofuku-style chocolate chip layer cake with a wooden peg doll topper depicting the couple and their two rescue cats. Photo by Altura Studio. 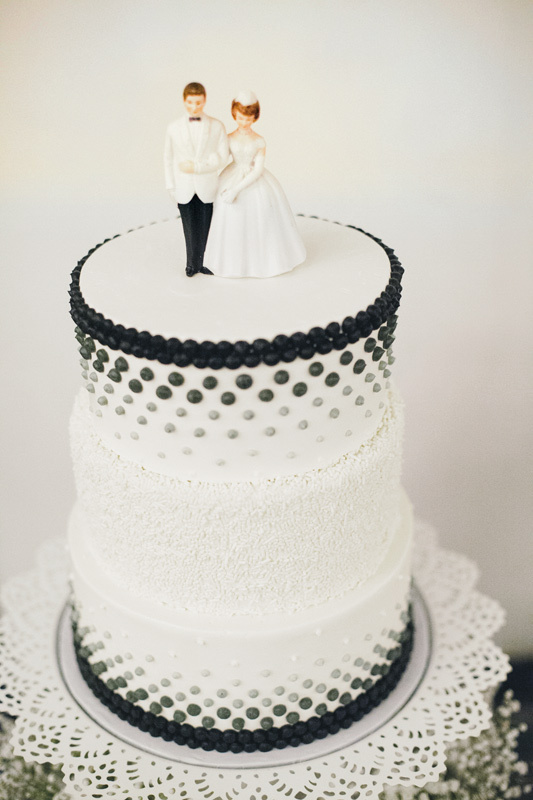 AK Cake Design‘s Allison Kelleher composed this polished, modern confection. 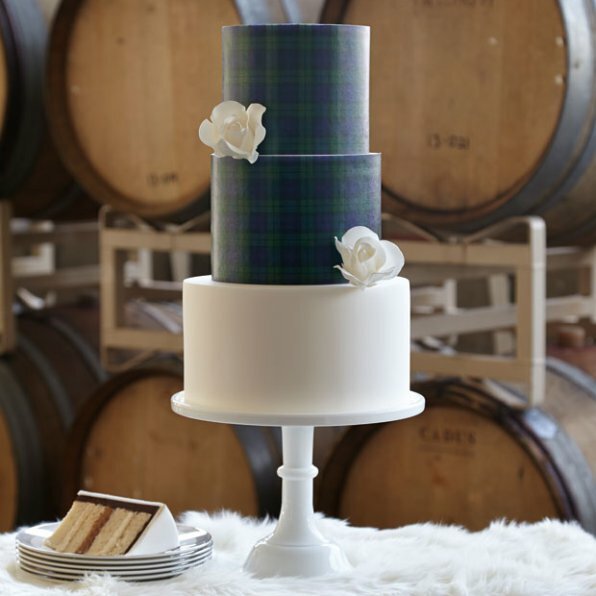 The top tiers of her fondant and chocolate ganache covered vanilla butter cake with vanilla and chocolate buttercream fillings are wrapped with custom-printed edible wafer paper, the latest trend in cake decorating. Pastrygirl whipped up this low-sugar chocolate chip chipotle, pink champagne, and lavender wedding cake for Lacy Axemaker and Paco O’Keefe’s December 8, 2013 wedding at Union/Pine. Photo by Stephanie Kaloi Photography. Pamper guests with petite couture cakes by Bash! 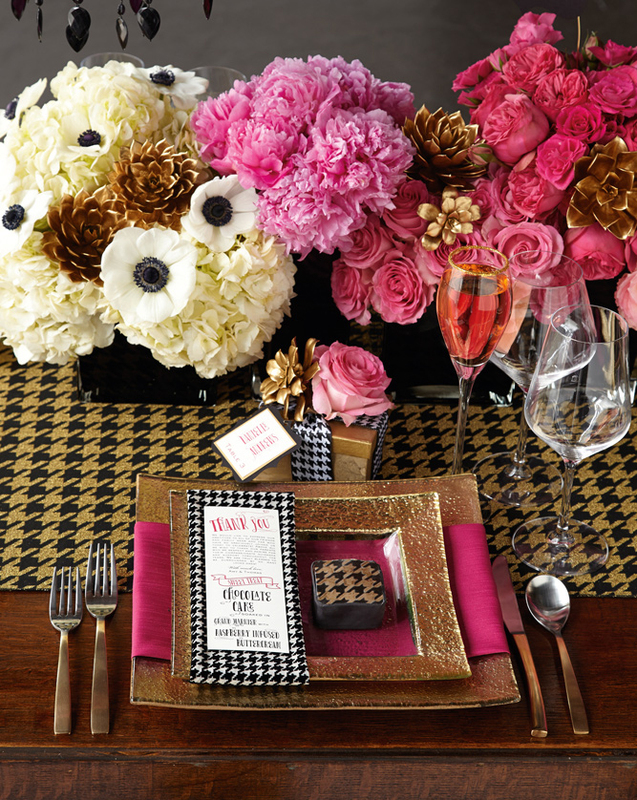 Weddings and Events; we love Crave Design’s sweet, coordinated thank-you note. 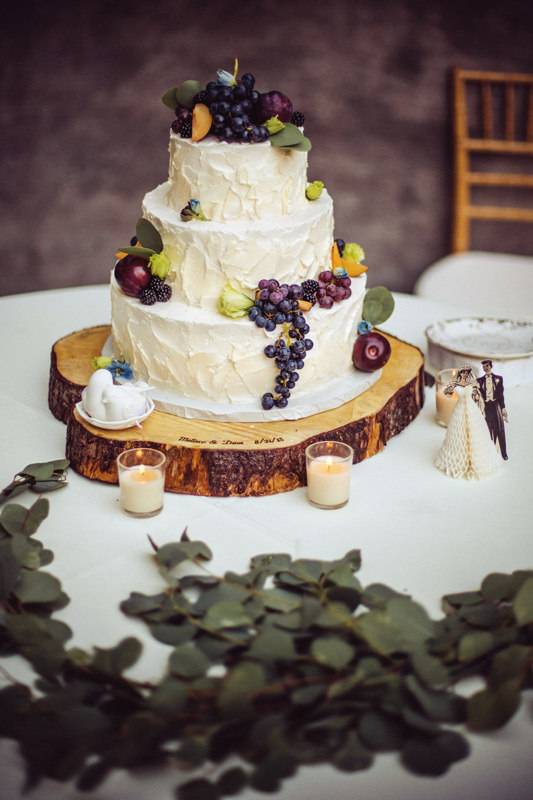 For their August 31, 2013 reception at Springhouse Cellar Winery, Melissa LaChance and David Seuc kept things simple and classic with a buttercream cake made with tiers of chocolate, vanilla, and carrot. Cake by pastry chefs Anne Garcia of Måurice & Jessica Howard of Raven & Rose. Photo by D’Art Photographie.